Calcium is essential for the development, growth and maintenance of bone. Without it, bones can become brittle and weak such like those suffering from osteoporosis. Calcium helps muscle contraction, this includes the beating of the heart muscle. When a nerve stimulates a muscle, calcium is released, allowing the muscle to carry out the contraction. The process of clotting blood is complex with many chemical reactions occurring. Calcium plays a small, but vital role in the bodies ability to clot blood. 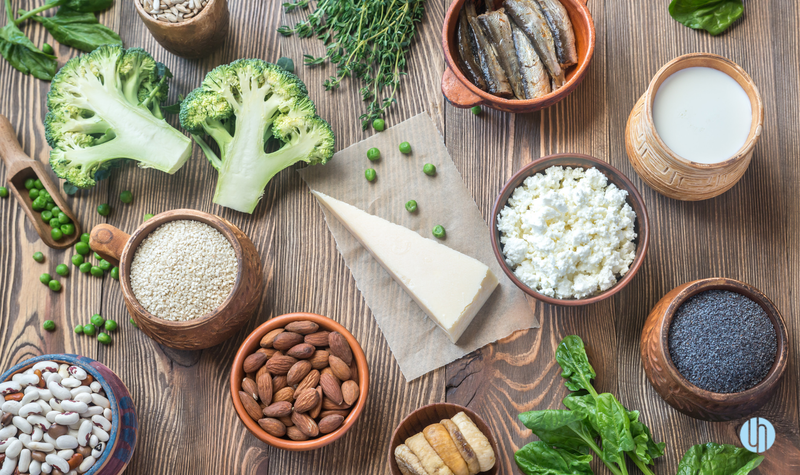 Some myths about calcium: Although it is well-known that dairy products like milk are high in calcium, recent research shows that too much milk may not actually be a good thing! Not only is milk high in fat, but excessive amounts can cause bloating and flatulence in many people. For these reasons, alternatives to dairy are a great way to improve bone strength and maintain good health. Some excellent sources of calcium include leafy green veggies like bok choy, broccoli, beans and tofu. It is also important to get enough vitamin D to help the calcium absorb into your body, which can be found in foods like salmon or from the sunlight. For more information on calcium, chat to one of our friendly practitioners today!